A look at the world's first secret service. 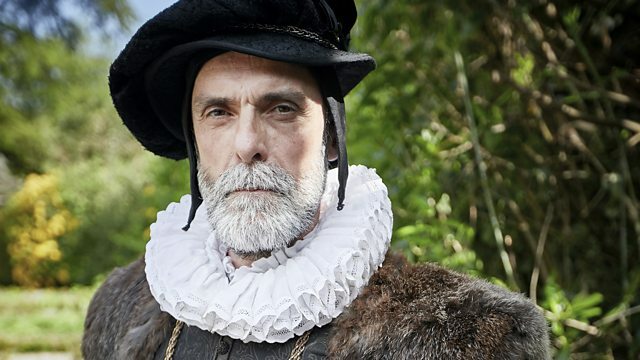 When the pope declares Queen Elizabeth I a heretic, spymaster William Cecil must stop the Catholic assassins getting through. In this episode, we find England alone - a Protestant nation in a largely Catholic Europe. Then, 12 years into Elizabeth's reign, the pope declares her a heretic, which in the hearts of England's Catholics gives them permission to kill her. Queen Elizabeth looks to her spymaster William Cecil to stop the Catholic assassins getting through. Cecil establishes a huge espionage network - England's first secret service. His spies break Catholic conspiracies at home and abroad. Cecil's network is put on high alert by intelligence from a source in Catholic Europe. As a result he catches a courier carrying coded letters that lead Cecil to unravel a plot to assassinate Elizabeth and install her cousin Mary, Queen of Scots on the English throne. Now Cecil will not rest until Mary, the figurehead for every Catholic threat and repository of Catholic hopes, is eliminated. In order to protect a queen, Cecil must kill one. Cecil now creates an elaborate Elizabethan sting. He incubates a Catholic plot to assassinate the queen and lures Mary into it. But will Mary fall for the bait and seal her fate. Mary does walk right into Cecil's trap, but even then the spymaster's aim is thwarted by a queen who refuses to execute her own cousin. Cecil knows Mary must die if Elizabeth is to live, but now that means he must defy his own queen and risk the end of his career - and perhaps his life.